Article written by Kathryn Diss for ABC.net.au – Read the original article here. 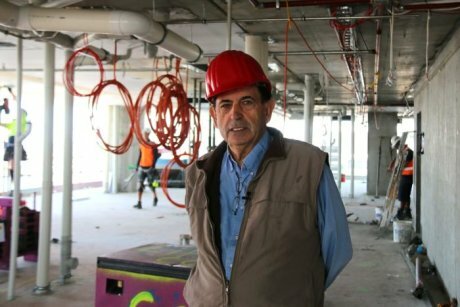 A construction industry whistleblower has spoken out about safety standards in the sector and said he feared someone would be “seriously injured or killed” at the Perth building site where a German backpacker fell to her death. Marianka Heumann fell 13 floors through an open shaft on the Gerry Hanssen-run Concerto Apartment complex in East Perth on October 10. 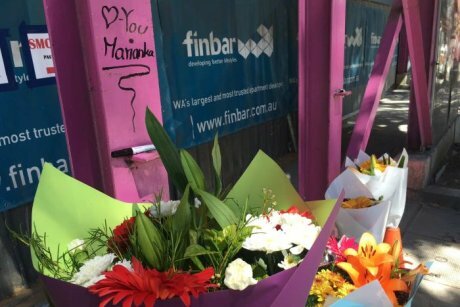 Four other people died on Australian construction sites during that month, raising questions about workplace safety nationally and the level of training employees are receiving. Several months ago Simon Waters began working as a field officer looking after apprentices on building sites around Perth, and the Concerto site was on his round. “That site prompted me to leave the organisation I was working for because the safety is just not there,” Mr Waters told the ABC. He said he quit the job after six weeks. Three weeks later, Ms Heumann fell to her death. 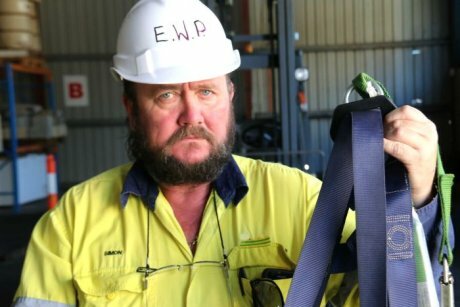 “My reason for leaving was I thought someone would be seriously injured or killed on that job and it happened,” Mr Waters said. PHOTO Simon Waters had been a field officer at the site where Ms Heumann plunged to her death. His comments come as inspectors from the Fair Work Ombudsman conducted a raid on Mr Hanssen’s Concerto Complex and his Harper Terrace development in South Perth. The ombudsman would not comment on Thursday’s raids other than to say they were part of an investigation checking workers at the site were receiving their “full lawful minimum entitlements”. Mr Waters has spent almost half his 40-year career in the construction industry teaching workplace safety. He used to be a safety representative for the Construction, Forestry, Mining and Energy Union [CMFEU] but since 2012, has worked as a self-employed trainer and assessor. Mr Waters believed some builders around Perth were hiring a large proportion of apprentices as a form of cheap labour and failed to properly supervise them. A carpenter who worked for Mr Hanssen also agreed to speak to the ABC, but did not want to be identified, because construction work was scarce. “It was run a lot differently, everyone was for themselves in regards to safety, you have to watch out for your own back,” the 27-year-old said. “The biggest factor I think is the pressure to get the job done. PHOTO Colleagues and friends left tributes to Ms Heumann at the Perth construction site. “We were doing massive hours, one break a day to split the day up. He spoke about being pressured to work in situations in which he felt uncomfortable, like underneath suspended loads. “I was putting up [temporary supports] underneath the suspended slab which was only held there by a power crane,” he said. “So it was moving around a bit and it would have easy weighed over five tonne. Mr Hanssen invited the ABC onto his site. “Every facet has been thought out as safe as possible as long as people adhere to their inductions, their safety procedures,” Mr Hanssen said. He has said repeatedly that Ms Heumann died after failing to put her safety harness back on. PHOTO Gerry Hanssen says his worksites have clear systems in place to ensure safe practice. “All the safety equipment — whether it’s safety glasses or harnesses — they’re all provided by us at all times, we’ve got the store downstairs … there is absolutely zero excuse why someone wouldn’t have the right safety gear,” he said. The veteran builder also denied allegations apprentices on his sites were not properly trained. “We’ve developed this as a system for every activity, whether you fix skirting, an air conditioner, we have all the tools, safety equipment, all the gear is listed, clearly set out,” he said. Gerry Hanssen and the CFMEU have been involved in numerous high profile battles over several decades both in the courts, the Industrial Relations Commission and on picket lines, including on Perth’s Bluewater project in 2000. Worksafe declined to be interviewed because its investigation into Ms Heumann’s death was continuing. In a statement, the safety watchdog said it had received five complaints about the Concerto site since construction began two years ago. Three of the complaints were made by members of the public, two by the CFMEU. It issued two improvement notices in August, one for “edge protection”, another for “excessive debris”. 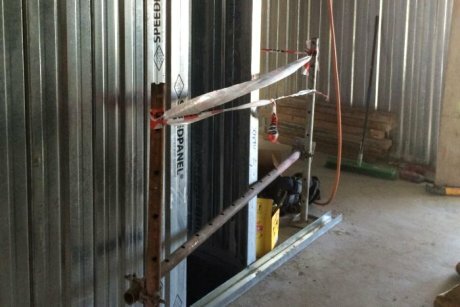 PHOTO A ventilation shaft at the East Perth site where Marianka Heumann fell to her death. Worksafe also said it had visited the site without warning four times this year and on each occasion raised several issues with the builder, which could be dealt with on the spot. The death of Ms Heumann came less than a year after two other backpackers died on a nearby site, run by Jaxon construction. The Master Builders Association (MBA) said it had formed an alliance with the CFMEU in an effort to lift standards. “Our safety audits on building sites reveal compliance with safety standards is not what it should be,” Master Builders executive director Michael McLean said. The MBA said it had called for mandatory refresher courses for all building workers every five years but until now Worksafe had not chosen to pursue it.